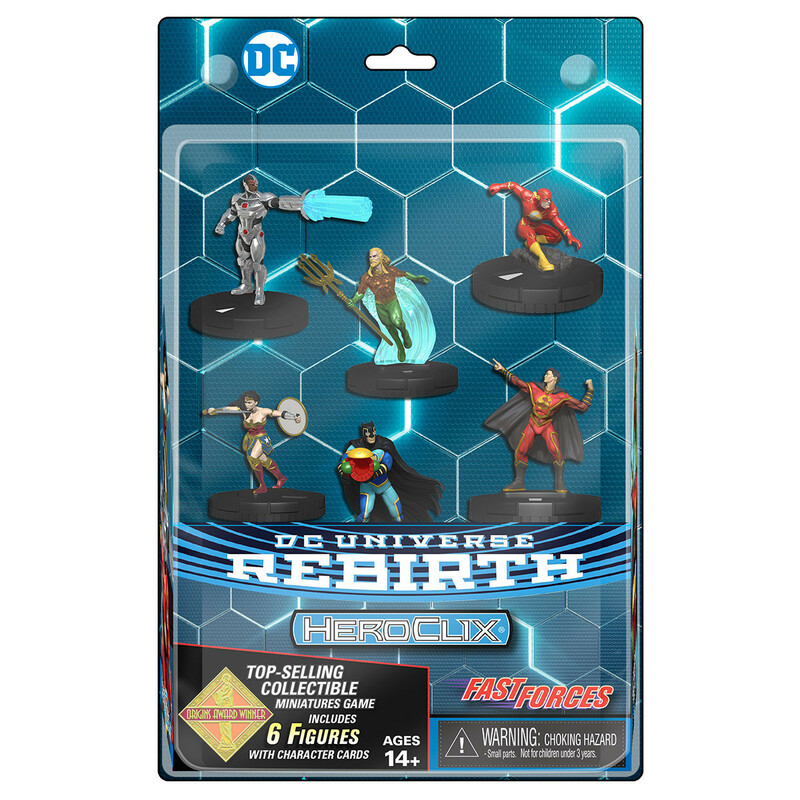 Celebrate the release of DC Comics HeroClix: DC Rebirth with a new Fast Forces set featuring the Justice League. DC Comics' most powerful and prolific superhero team reunites with all-new dials and two never-before-clixed characters from the Justice League of China: Super-Man (Kenan Kong) and Bat-Man (Wang Baixi). In this Fast Forces, you will also find core Justice League characters like Aquaman, Cyborg, The Flash, and Wonder Woman! Our Price $22.99 Another currency?